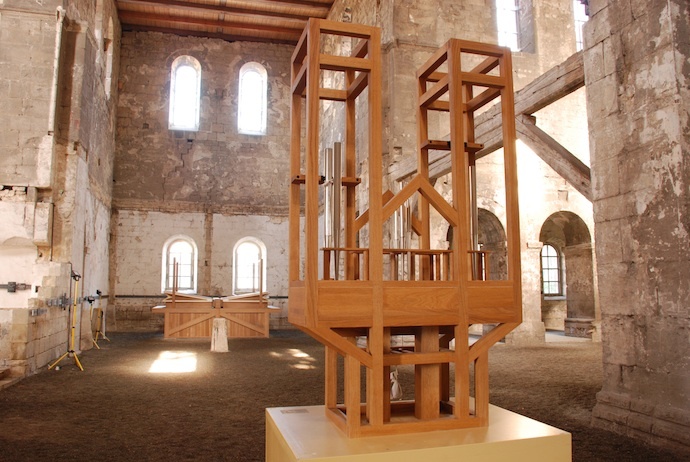 Latham was influence by John Cage’s work, As Slow As Possible, the longest piece of organ music in the world being performed at Halberstadt Church in Germany. The performance began in 2001 and will run for 639 years until 2640 during which time the piece is constantly changing. Latham was inspired by the way in which the music is endlessly changing, like his ever mutating virtual forms.